2017 In A Sentence: Despite losing on the final weekend to Kennesaw State for the Big South Championship, the 9-2 Hawks made it to the FCS Playoffs for the first time in program history, capping off one of head coach Kevin Callahan‘s best-ever seasons. 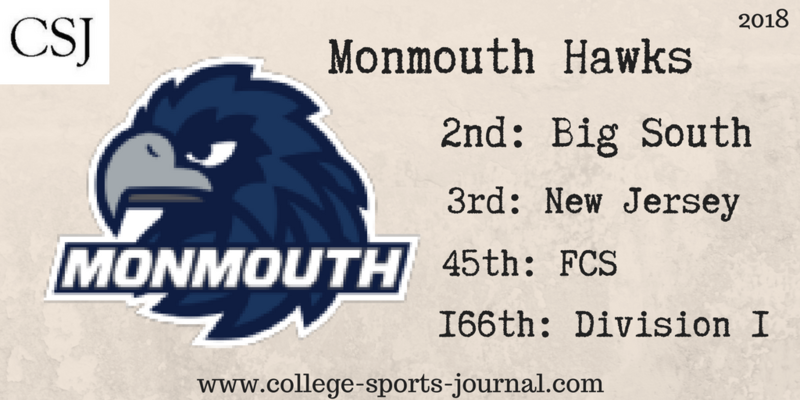 Biggest Shoes to Fill: DB Mike Basile was a huge disruptive force for Monmouth’s defense last season, notching 126 tackles, 9 1/2 tackles for loss, and grabbing 1 interception. He was the heart and soul of the Hawk defense last year. 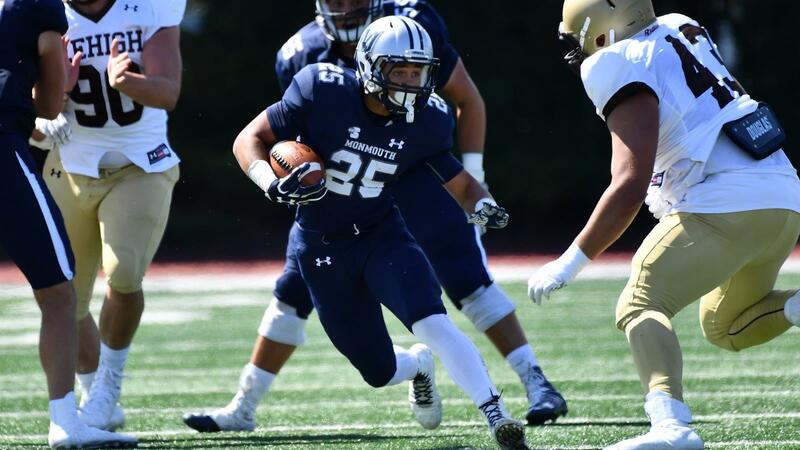 Key Player: RB Pete Guerriero burst onto the scene last year for Monmouth and was a critical piece of their surge to the top of the Big South last year. An all-purpose threat, the Lyndhurst, New Jersey native got 1,408 all-purpose yards and 10 TDs last season, and Hawk fans will be eager to see how he further develops into an even more dominant player now that he’s a redshirt sophomore. Fearless Prediction: On November 10th, Monmouth will host Kennesaw State, a game that looks likely to determine the potential Big South champions. Do they have enough to beat them this year – or, like last year, will they fall just short of the outright title?